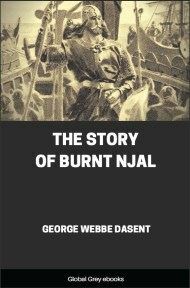 Njáls saga or 'The Story of Burnt Njáll' is a 13th century Icelandic saga that describes events between 960 and 1020. 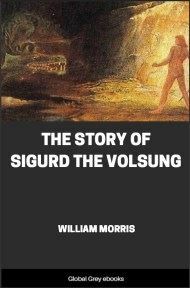 It deals with the process of blood feuds in the Icelandic Commonwealth, showing how the requirements of honor could lead to minor slights spiralling into destructive and prolonged bloodshed. The principal characters are the friends Njáll Þorgeirsson, and Gunnar Hámundarson. 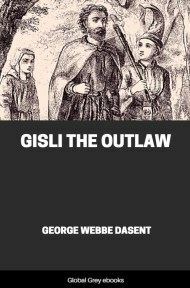 Gunnar's wife instigates a feud that leads to the death of many characters over several decades. 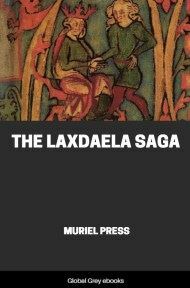 Now the story turns westward to the Broadfirth dales, where, at Hauskuldstede, in Laxriverdale, dwelt a man named Hauskuld, who was Dalakoll's son, and his mother's name was Thorgerda. 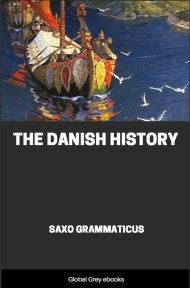 He had a brother named Hrut, who dwelt at Hrutstede; he was of the same mother as Hauskuld, but his father's name was Heriolf. Hrut was handsome, tall and strong, well skilled in arms, and mild of temper; he was one of the wisest of men—stern towards his foes, but a good counsellor on great matters. It happened once that Hauskuld bade his friends to a feast, and his brother Hrut was there, and sat next him. Hauskuld had a daughter named Hallgerda, who was playing on the floor with some other girls. She was fair of face and tall of growth, and her hair was as soft as silk; it was so long, too, that it came down to her waist. Hauskuld called out to her, "Come hither to me, daughter". So she went up to him, and he took her by the chin, and kissed her; and after that she went away. Then Hauskuld said to Hrut, "What dost thou think of this maiden? Is she not fair?" Hrut held his peace. Hauskuld said the same thing to him a second time, and then Hrut answered, "Fair enough is this maid, and many will smart for it, but this I know not, whence thief's eyes have come into our race". Then Hauskuld was wroth, and for a time the brothers saw little of each other. It happened once that those brothers, Hauskuld and Hrut, rode to the Althing, and there was much people at it. Then Hauskuld said to Hrut, "One thing I wish, brother, and that is, that thou wouldst better thy lot and woo thyself a wife." Hrut answered, "That has been long on my mind, though there always seemed to be two sides to the matter; but now I will do as thou wishest; whither shall we turn our eyes?" Hauskuld answered, "Here now are many chiefs at the Thing, and there is plenty of choice, but I have already set my eyes on a spot where a match lies made to thy hand. The woman's name is Unna, and she is a daughter of Fiddle Mord one of the wisest of men. He is here at the Thing, and his daughter too, and thou mayest see her if it pleases thee." Now the next day, when men were going to the High Court, they saw some well-dressed women standing outside the booths of the men from the Rangrivervales, Then Hauskuld said to Hrut— "Yonder now is Unna, of whom I spoke; what thinkest thou of her?" "Well," answered Hrut; "but yet I do not know whether we should get on well together." After that they went to the High Court, where Fiddle Mord was laying down the law as was his wont, and alter he had done he went home to his booth. Then Hauskuld and Hrut rose, and went to Mord's booth. They went in and found Mord sitting in the innermost part of the booth, and they bade him "good day". He rose to meet them, and took Hauskuld by the hand and made him sit down by his side, and Hrut sat next to Hauskuld, So after they had talked much of this and that, at last Hauskuld said, "I have a bargain to speak to thee about; Hrut wishes to become thy son-in-law, and buy thy daughter, and I, for my part, will not be sparing in the mattes". Mord answered, "I know that thou art a great chief, but thy brother is unknown to me". "He is a better man than I," answered Hauskuld. "Thou wilt need to lay down a large sum with him, for she is heir to all I leave behind me," said Mord. "There is no need," said Hauskuld, "to wait long before thou hearest what I give my word he shall have. 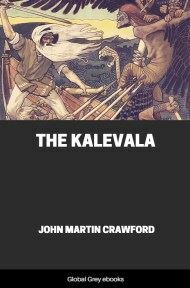 He shall have Kamness and Hrutstede, up as far as Thrandargil, and a trading-ship beside, now on her voyage." Then said Hrut to Mord, "Bear in mind, now, husband, that my brother has praised me much more than I deserve for love's sake; but if after what thou hast heard, thou wilt make the match, I am willing to let thee lay down the terms thyself". Mord answered, "I have thought over the terms; she shall have sixty hundreds down, and this sum shall be increased by a third more in thine house, but if ye two have heirs, ye shall go halves in the goods". Then said Hrut, "I agree to these terms, and now let us take witness". 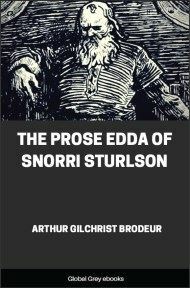 After that they stood up and shook hands, and Mord betrothed his daughter Unna to Hrut, and the bridal feast was to be at Mord's house, half a month after Midsummer.